Overview: May your wishes come true in this colorful adaptation of a classic tale. WIN UP TO 75,000 COINS! 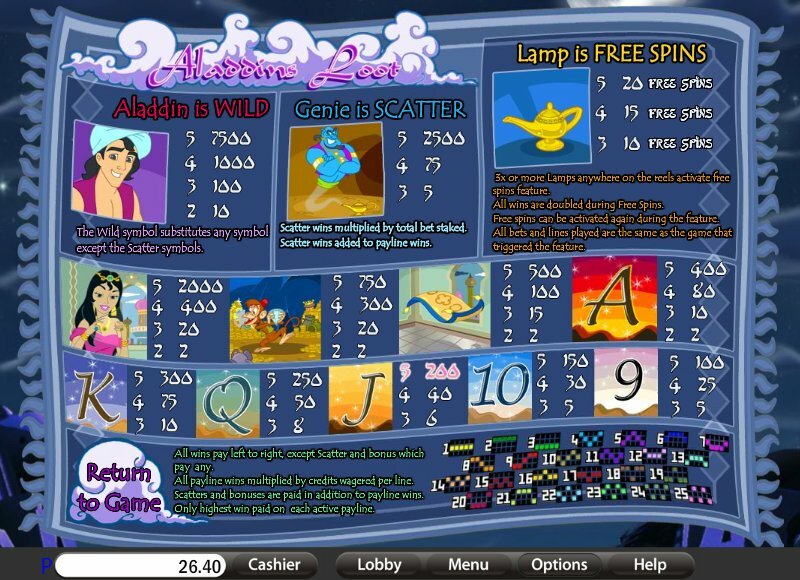 25 LINES, UP TO 20 FREE SPINS, WILD SCATTER. 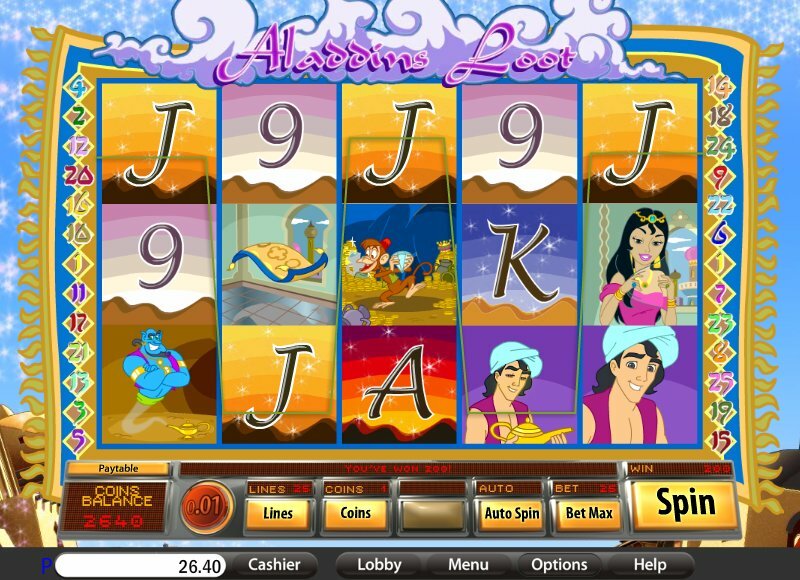 Similar Slots: If you like Aladdin's Loot, you might like these other slot machines from Saucify: Buckin' Bronco$, Dollar$ Down Under, Football Fever, Roll Up! Roll Up!, Small Soldiers.